Early adopters, get ready: Nissan is reportedly gearing up to take reservations for the all-electric Leaf in April. The company will take orders in August, and deliveries of the affordable ($25,000 to $35,000) sedan will begin in December. Reservations cost $100–a payment that is refundable when the car is actually ordered. The impending release of the Leaf is important for more than just EV buffs–it will mark the first time a major car company releases an affordable all-electric car. And Nissan is taking no chances on making sure that an EV infrastructure is in place for its vehicle. The company has teamed up with Renault to build thousands of charging stations across North America, Europe, and Japan. Still, until EV charging stations start to pop up with the same frequency as gas stations, potential customers who need to travel more than 100 miles at a time (the driving range for the Leaf) may want to hold off on buying the car. 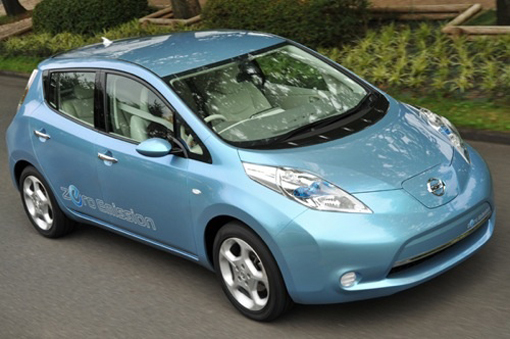 Nissan hasn’t yet revealed if the Leaf’s battery will be leased or purchased with the vehicle. It’s a decision that will have a big impact on the price of the car, but leaving out the battery as part of the purchase could make some customers uneasy. Don’t want to deal with the hassle of waiting for Nissan to figure out the kinks of its pricing plan? Hertz also announced this week that it plans to rent the Leaf beginning in early 2011.